OMG! 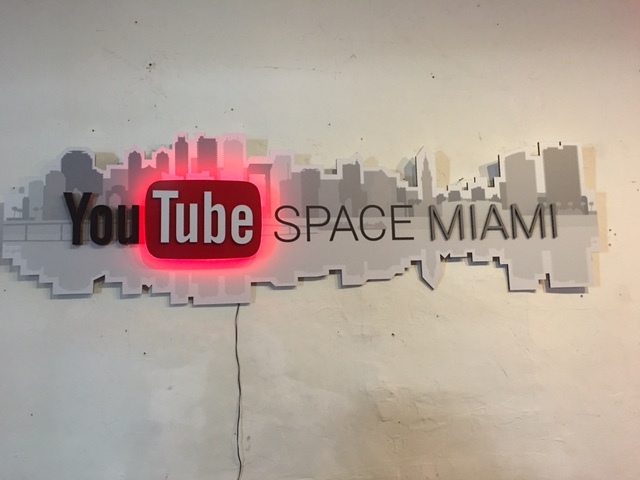 YouTube Miami creator day was so much fun! I love YouTube, if you did not know that already. 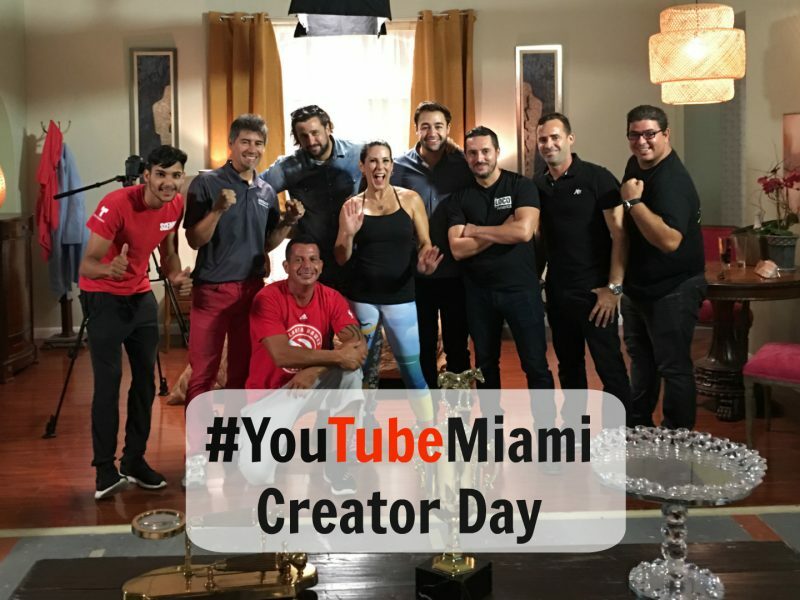 Last week I had the amazing opportunity to participate in the YouTube Creator Day in Miami and film on the Telemundo and Telenovela sets. One was a bedroom and one was an office setting. 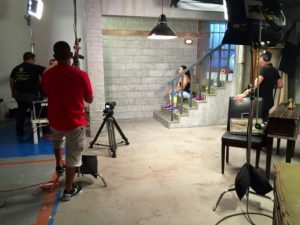 I have to say I was a little nervous because I am used to filming at home. 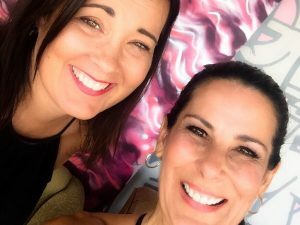 But you know what I always say, “Step Out of Your Comfort Zone.” I brought my BFF with me for support and she helped me all day long with fitness outfits, hair, and making sure I was staying on track. Well, I am happy to tell you the day was fantastic! 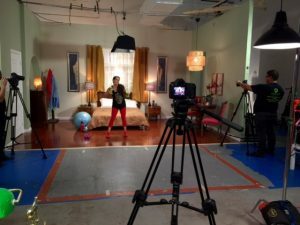 We met the camera, sound and lighting crew and they were so friendly and made me feel very comfortable. I filmed 6 new workout videos for my YouTube and web site and I can’t wait to bring them to you very soon! My BFF, Dawn came with me and I could not have done it without her help. The second day of YouTube creator day, I was asked to be on the speaker panel with two other amazing YouTubers. We talked about how we got started, things we suggest to grow your channel, and then a Q & A session. The day was amazing and thank you for letting me share it with you. I can’t wait to share all of these videos with you. Subscribe to my YouTube channel to stay up-to-date on my latest workout videos.